Our cuisine is built on a tradition that stretches from Paris to Port au Prince and from Cadiz to the Congo. It’s one of the reasons we live here and why you come to visit. Every day, the city’s more than 1,000 eateries ready themselves to welcome their guests with a gusto. 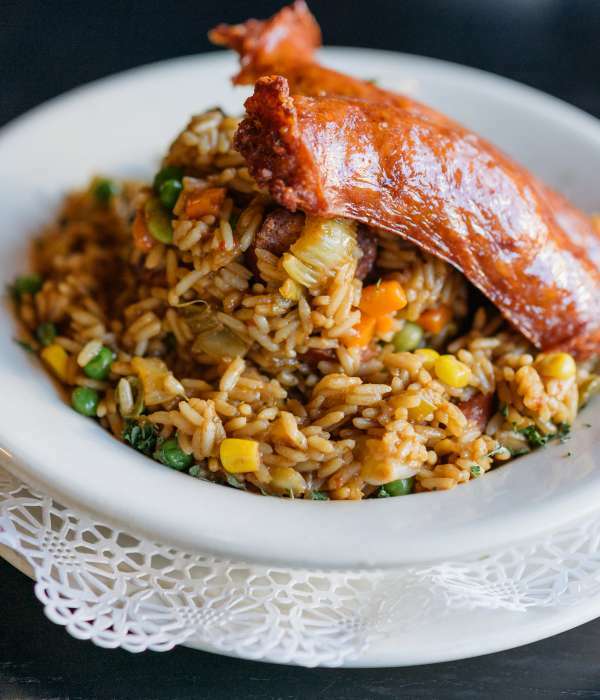 They spoon the gumbo, blacken the redfish, smoke the pork and plate the dishes with a respect for the old flavors and a warm welcome to new trends. 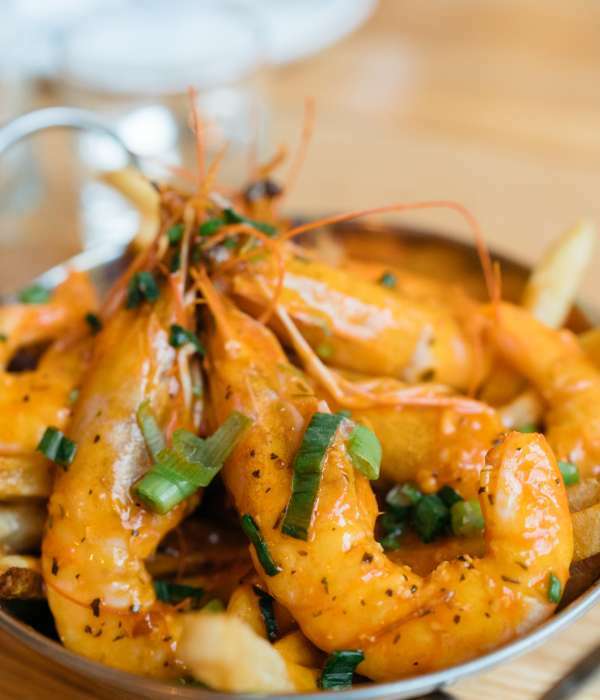 Here, you can peruse where to dine outdoors, learn the difference between Cajun and Creole cuisine and find the best spots to eat with kids that adults can appreciate as well. 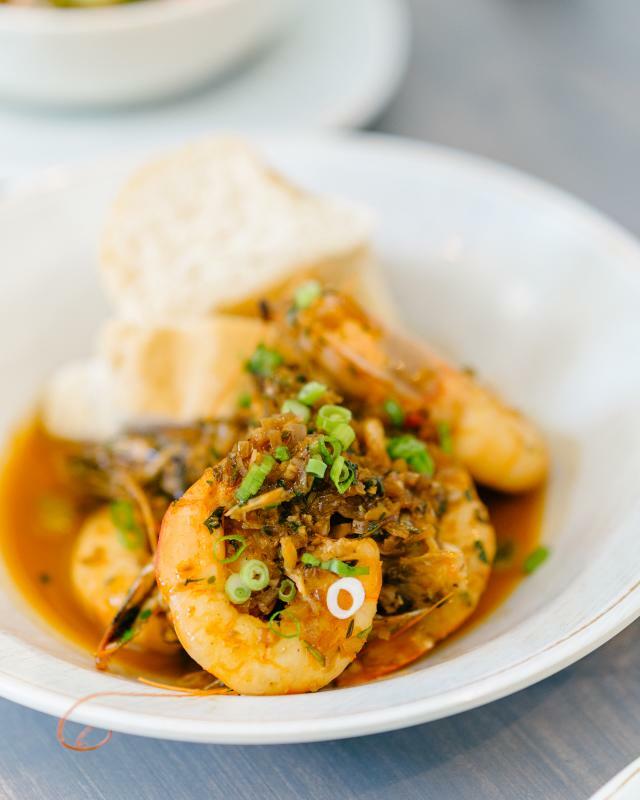 You can dine healthy, eat fried seafood, devour po-boys and find out where they get their name. Hungry after the show? There are late night cafes and bars that will feed your body as well as your soul. Take a class at one of the city’s cooking schools, explore ethnic cuisine at Vietnamese pho houses and Salvadoran pupuserias. Looking for vegan, vegetarian or gluten-free options? Yes, yes, and yes. 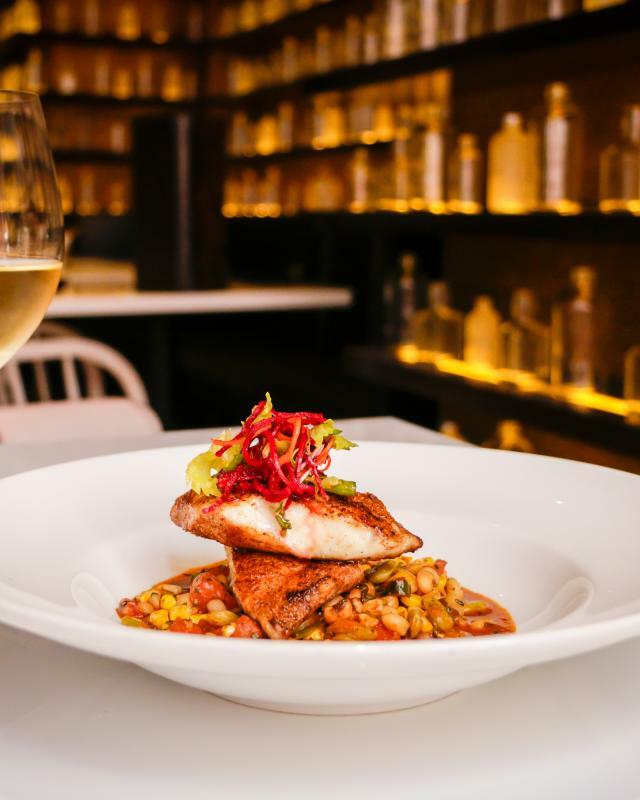 The New Orleans dining scene is a brilliant reflection of the city’s diverse history, culture and neighborhoods. 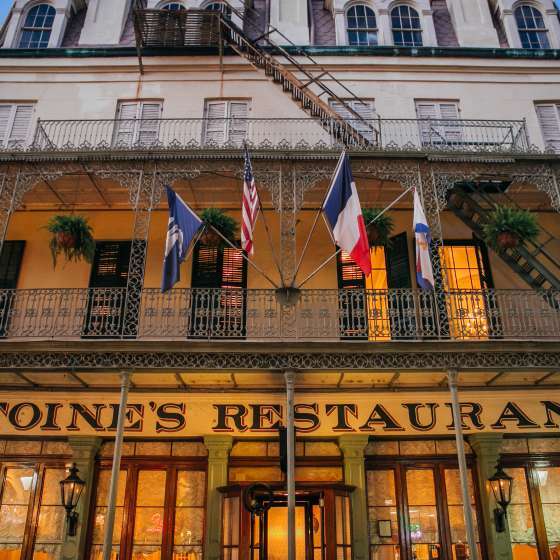 With over 1,400 restaurants in New Orleans, there's something for everyone. 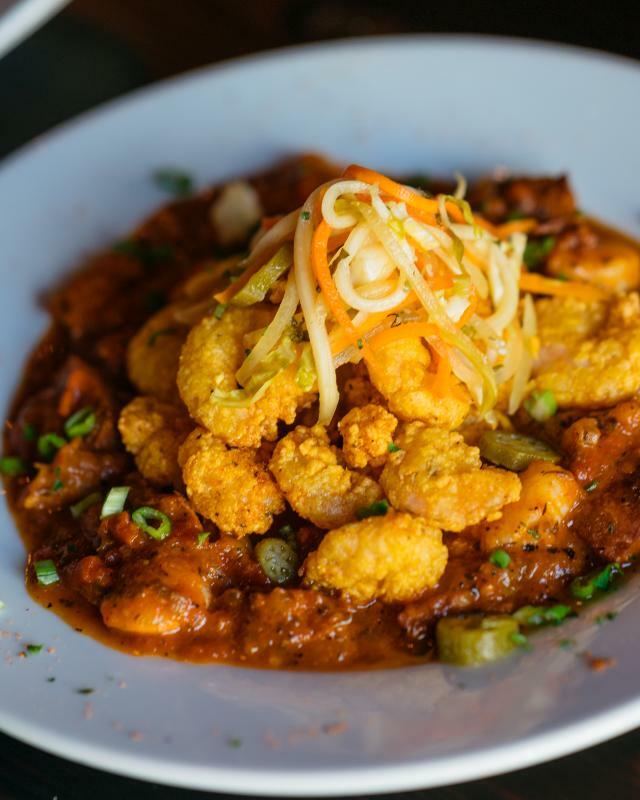 Search NewOrleans.com dining guide for the best cuisine in the Crescent City. 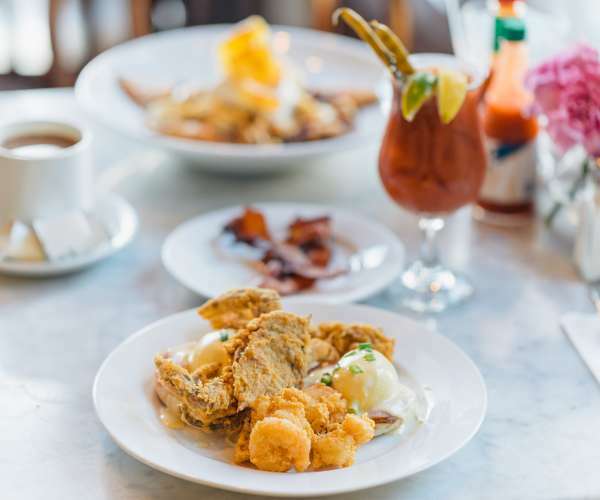 Brunch in New Orleans ranges from traditional jazz brunch to build-your-own Bloody Mary bars and bottomless mimosas. Here's a list of restaurants serving brunch. 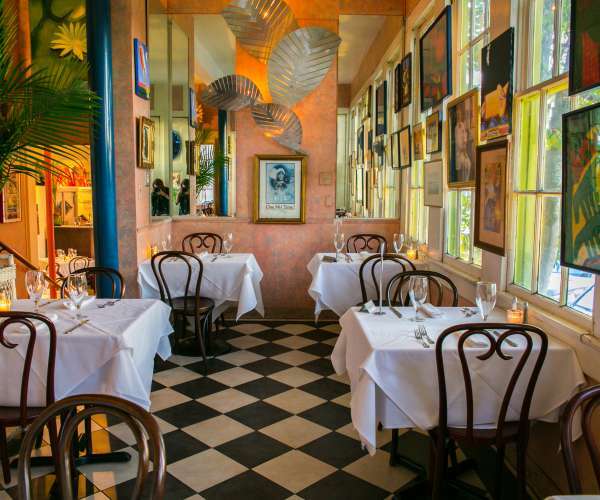 Dine with that special someone at one of New Orleans' romantic restaurants. From quaint courtyards to formal dining rooms, there's a taste and a place for every couple. Do you want that dressed? 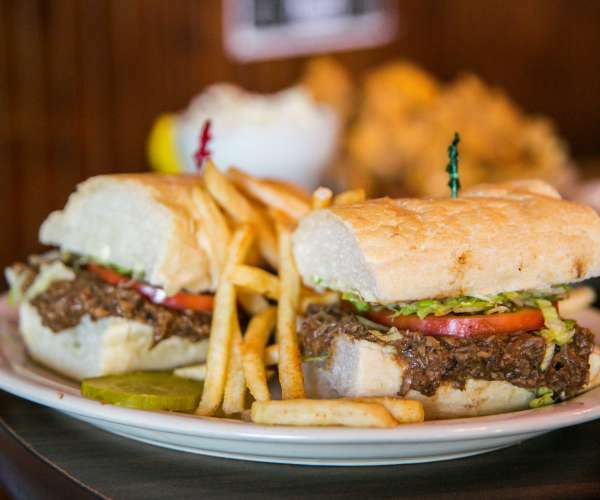 Po-boys are stuffed and slathered with sauce and served between two slices of french bread. The bread is the most important part! 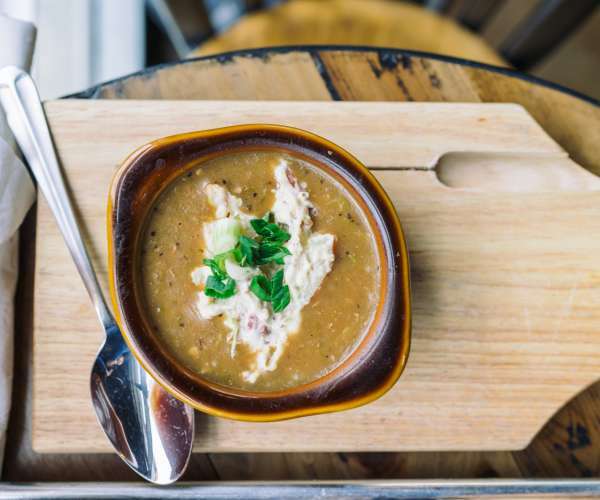 Locals would argue that gumbo is almost its own food group. Learn what's in New Orleans gumbo, where to get it, and recipes for how to make it. The Crescent City is known for its cuisine. 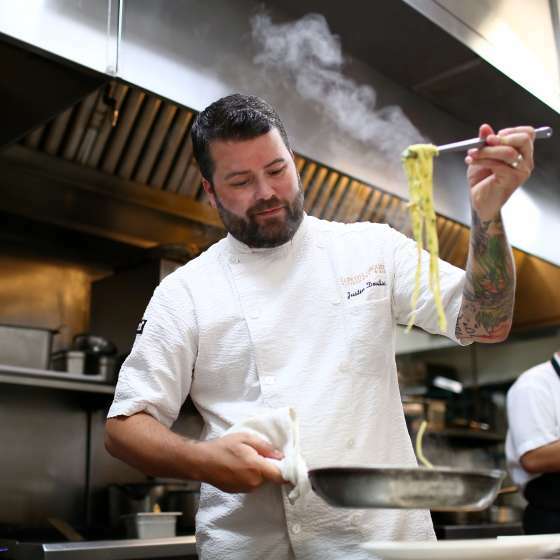 Learn more about New Orleans' love affair with its traditional fare. It's truly a foodie's paradise. New Orleans is known for its impressive cuisine. 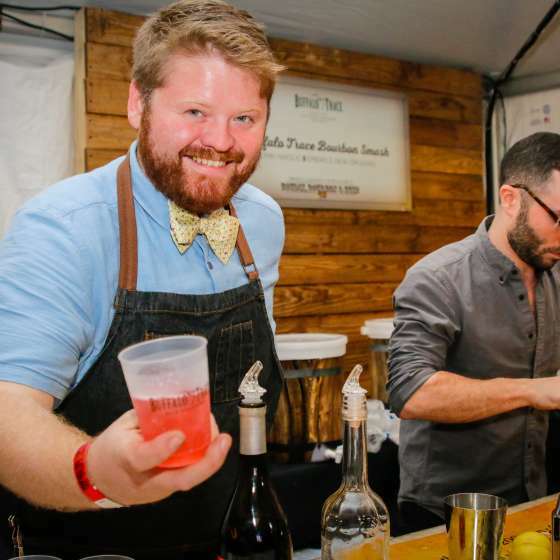 Eat at James Beard Foundation awarded restaurants with the best chefs in America. © 2019 Neworleans.com All Rights Reserved.